Foundation President-CEO is Person of the Month – December 2018 | Command and General Staff College Foundation, Inc. The staff and trustees of the CGSC Foundation have selected Doug Tystad, the president and CEO of the Foundation, as the Person of the Month for December 2018. Foundation President/CEO Doug Tystad briefs attendees on Foundation support to the College during the National Security Roundtable program in October 2018. 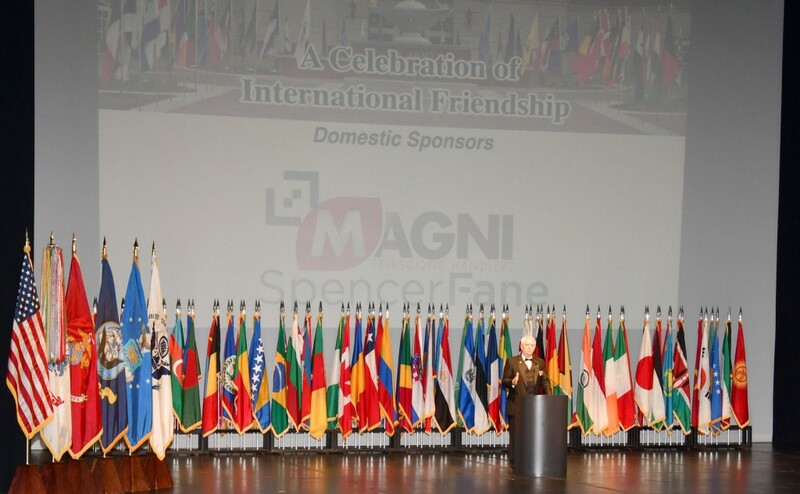 Doug welcomes attendees to the 5th annual Celebration of International Friendship at the Kauffman Center for the Performing Arts. This annual event was one of Doug’s initiatives to showcase the College and its students to the public. Outgoing Foundation President/CEO Doug Tystad shares a light-hearted “grip-n-grin” moment with the Foundation’s Simons Center Program Director Rod Cox. 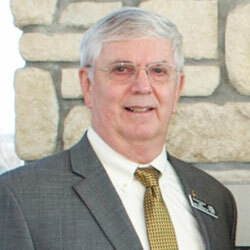 Cox will assume the duties of president/CEO on Dec. 14. Doug has led the Foundation since Oct. 1, 2013. He turns over the job and heads into retirement this month, Dec. 14. • Started the Celebration of International Friendship annual event as a new program to conduct outreach for the College. In 2018 we conducted the 5th annual Celebration for this first class event in downtown Kansas City that honors the international students and educates the public about the international military student program and the College. • Revised the ethics program to make better use of resources and engagement with the distinguished visiting professor to provide a more rich ethics educational experience for the students. • Increased support to Soldier and Family Support programs – energized support to summer youth reading programs, conducted family workshops, began a scholarship program through the on-post spouse club, supported ACS Spouse education programs, and initiated support for international officer spouses. • Devised the very popular “Walk and Talk” program to engage with civilian business leaders and others in an effort to inform and educate them about the history and operations of the College and Fort Leavenworth. Personally led approximately 50 tours (as well as numerous unofficial tours) resulting in a greater appreciation for the Fort Leavenworth and College mission…and the Foundation’s role in support. • In March 2016 hired a new program director for the Simons Center and re-energized the Center’s role in interagency studies. The InterAgency Journal is more popular than ever and the Center’s website is more visible and effective in the interagency domain. • Elevated the lecture series programs – Conducted a more aggressive schedule of lectures in the Vietnam War Commemoration and Great War Centennial lectures through improved coordination and support with the Department of Military History. Also established the “Interagency Brown-Bag Lecture Series” to provide more interagency education opportunities for students and interested members of the public. 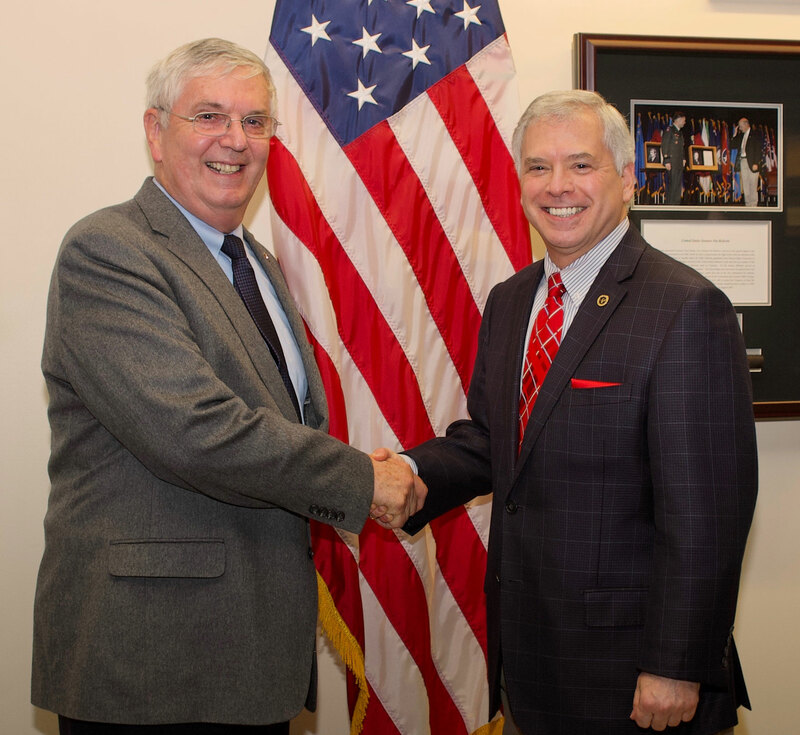 Additionally, Doug personally engaged with the College to offer Foundation support for distinguished speakers in support of the Department of Command and Leadership. • Revised and re-energized the DACOR Distinguished Visiting Professor of Diplomacy Program. 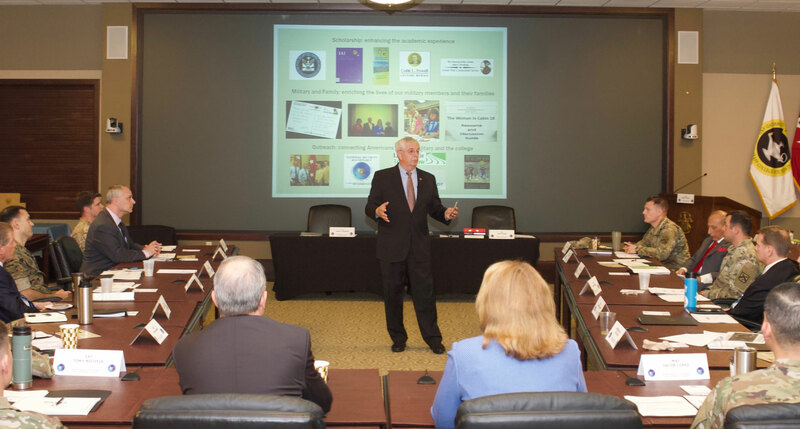 — The program had been paused for a period of time, but Doug successfully restarted the program and worked with Rod Cox, the Simons Center program director, to bring in highly respected retired ambassadors to speak to the CGSC and SAMS classes and participate in selected small group instruction. As part of this program, Doug and Rod garnered sponsors in The Starr Global Fund at the University of Saint Mary, as well as Park University, and conducted “exchanges” with the visiting ambassadors and these universities. • Expanded the Foundation’s support for awards for academic achievement. – During his tenure, Doug garnered endowments for the MG Hans Schlup Award, the LTC Ron Ward Distinguished SOF Award, the Mac Harris Leadership Award, the Eisenhower Award and the Marshall Award. The Foundation now sponsors more than 65 percent of CGSC graduation awards, all graduation awards for SAMS (to include the best Interagency Monograph Award), recognition for the Military and Civilian Educators of the Year, support for the Emeritus Faculty Program, and awards for the International Hall of Fame inductees. • Launched the “Art of War Initiative” in 2017 as a campaign to educate, inform and celebrate the unique range of items in the CGSC Art and Gift Collection. Conducted three public exhibits in the Kansas City metro with more than 2,500 members of the public viewing and learning about the College and its international officer program and Fort Leavenworth. Garnered recognition from the Smithsonian Magazine, KC Culture magazine and local public radio. • Instituted an “Alumni Association Program” to energize CGSC graduates and keep them connected to the College. As part of the program he worked with the CGSC staff to have a Foundation presence during student out-processing at the end of the academic year to encourage the grads to sign up with the program. • Instituted an extremely aggressive web communications program for the Foundation. As part of that online priority, Doug also began publishing digital editions of the Foundation News magazine and the InterAgency Journal. • Reviewed and revised the Foundation’s bylaws to streamline the Foundation’s governance processes, enabling it to provide better support to the College. Doug also improved internal accounting processes to make better use of resources and identify any shortfalls more accurately. The Foundation’s business and accounting operations have never been better. We salute Col. (Ret.) Doug Tystad for his five years of dedication to the CGSC Foundation mission and wish him and Val well as they retire “for real” this time. – Doug Tystad is our “Person of the Month” for December 2018…and it’s more than deserved.